Sangjin Kim, "Meditation", 2013, Moktak, speaker, Sitting Matt, Mixed Media, Size adjustable. 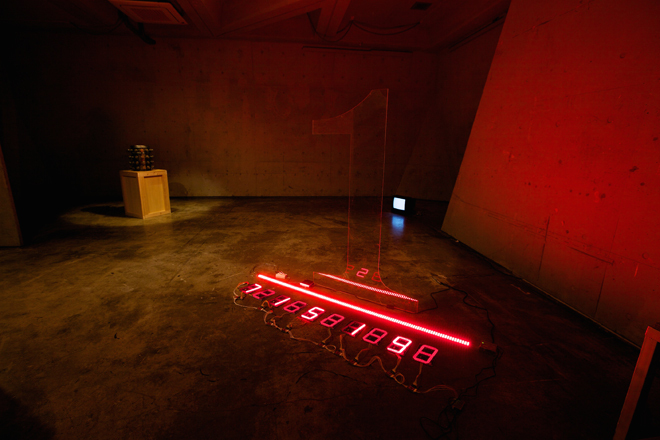 Sang Jin Kim, "An Approximate Value", 2014, 7 segments, LED, Acrylic, 180x150x40cm, Edition of 3. 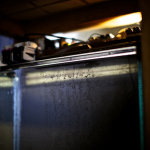 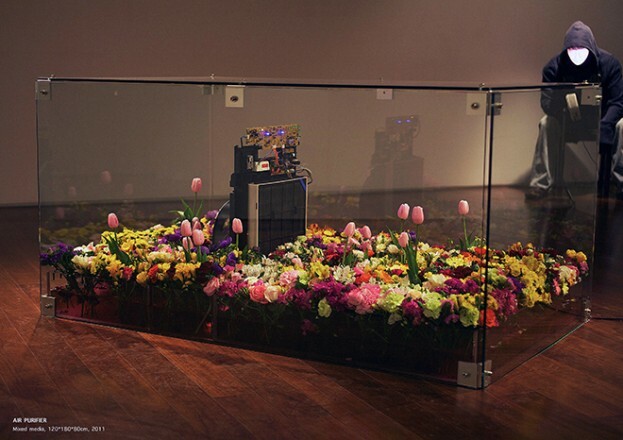 Sang Jin Kim, "Air Purifier", 2011, Air Purifier, Live Flowers, Water, Glass Frame, 160 x 100 x 80 cm. 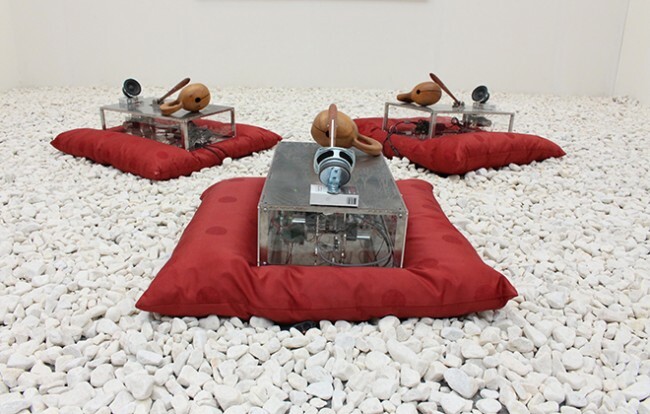 Sang Jin Kim, "Dog Sounds", 2010, Mixed audio, Oil barrel, 70 x 50 x 50 cm. 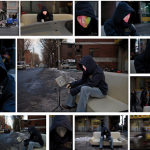 Sang Jin Kim, "The Street Where I am Living", 2010. 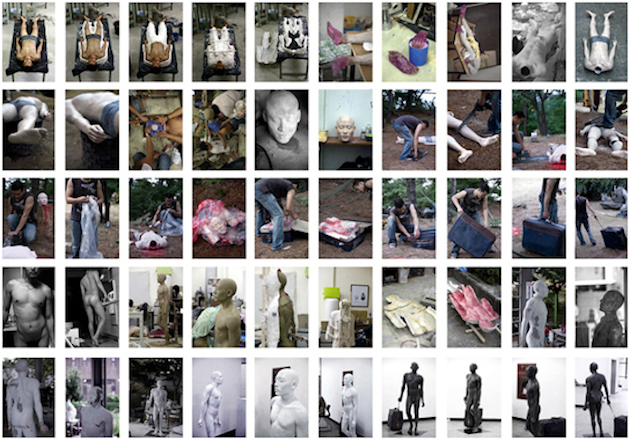 Mixed materials, 140 x 200 x 160 cm. 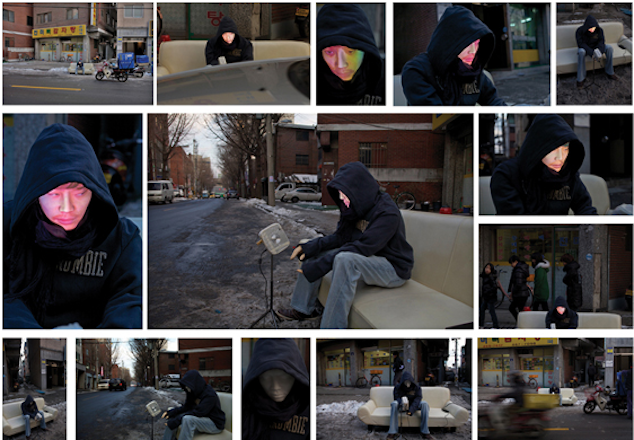 Sang Jin Kim, "Human Copyright Information", 2007. 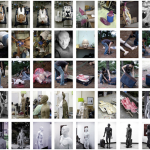 Digital Print, video installation. 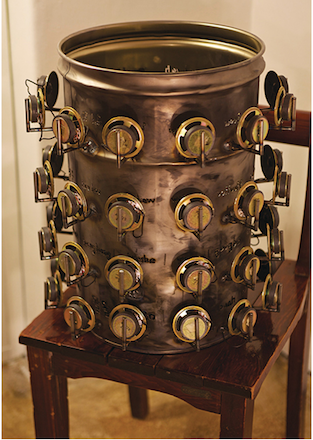 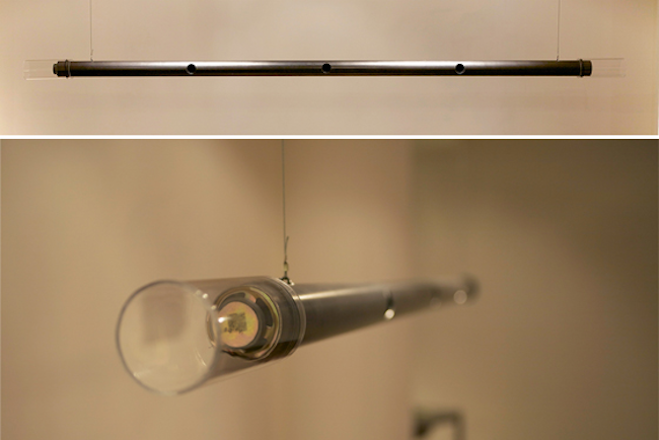 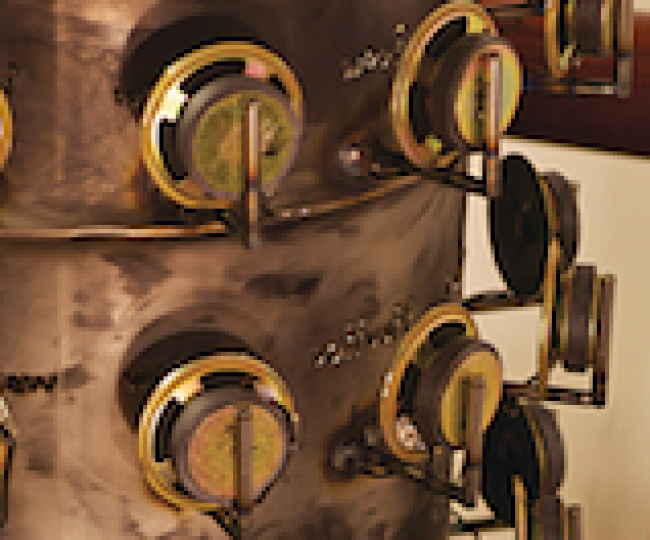 Sang Jin Kim, "Time_Watch Sound", 2011, Mixed audio, 10 x 10 x 240 cm. 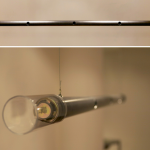 Sang Jin Kim, "In Visibility_Cell", 2012. 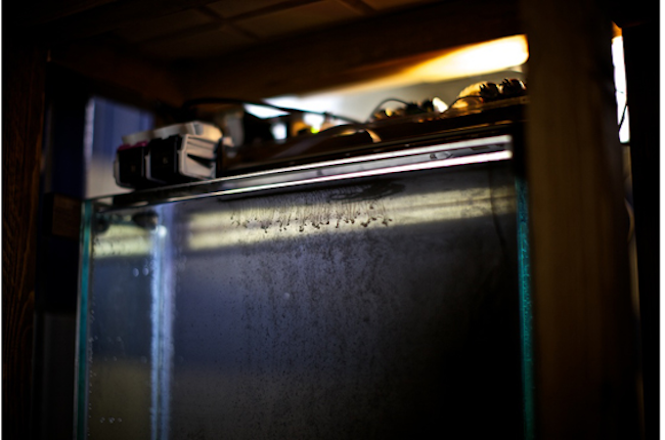 Mixed material.